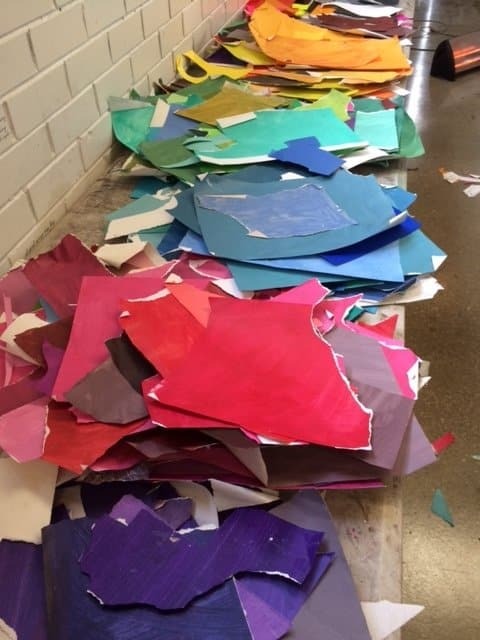 Merryn Trevethan returns to the studio with a new workshop – COLLAGING WITH COLOUR! Merryn will introduce the idea of using colour to structure your work using a variety of coloured papers. Students will be introduced to colour relationships, and will utilise the interaction of colours to create space and dynamic compositions through a series of structured exercises that also focus on shape, pattern and edges. It’s on Sunday 19th August, places are limited, book your place HERE.